Vijay starrer 'Sarkar' film has been making a lot of noise lately be it for the fact of its much-awaited release or the controversies surrounding it. Veteran actor Kamal Haasan, who has been quite vocal in the past regarding issues plaguing the film industry, shared his piece of mind recently. Vijay starrer 'Sarkar' film has been making a lot of noise lately be it for the fact of its much-awaited release or the controversies surrounding it. 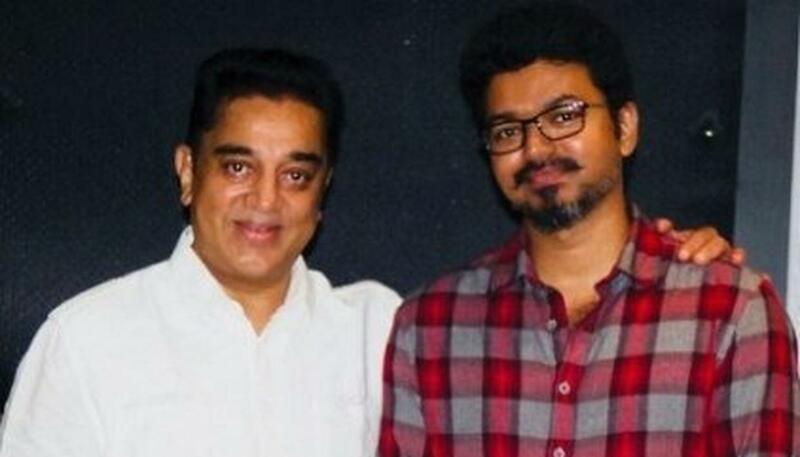 Veteran actor Kamal Haasan, who has been quite vocal in the past regarding issues plaguing the film industry, shared his piece of mind recently. According to popular reports, speaking at a press conference on November 7, Minister Kadambur Raju said, "People will not accept these political motives." Get Ready Folks! #Sarkar #KollamNanbans is coming with the Biggest Ever Cutout for an Actor in Indian Cinema 🙌 🙌.